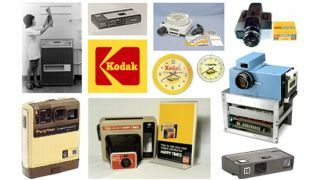 Apple and Google joining forces to mop up Kodak patents? Apple and Google may be about to form an unlikely alliance to snap up Kodak's vast army of imaging patents, according to reports this weekend. Bloomberg sources have claimed the companies have abandoned separate bids to acquire the 1,100 patents and have instead teamed up on a $500m (UK£311, AUD$476m) proposition. The package of patents has been up for grabs since the iconic film and camera firm entered bankruptcy in January this year and had courted interest from Apple-led and Google-led consortiums. If indeed Google and Apple do team up on the deal it would offer both companies insurance against future courtroom battles. Although bitter rivals in the smartphone and tablet industry, both sides are looking for ways out of the interminable patent wars that have dominated the headlines in the last couple of years. Agreements such as these, among rivals, neutralise any potential legal action. Neither Apple nor Google have so far commented on the story.